Clair De Lune Stripe Hooded Baby Towel Blue. Clair De Lune Stripe Hooded Baby Towel Grey. Clair De Lune Barley Bb Hooded Baby Towel Pink. Silentnight Baby Hooded Towel Pink Stars. 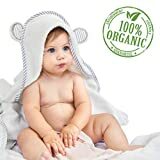 Clair De Lune Barley Bb Hooded Baby Towel Blue.